Eight employees were honored this year by the Argonne Leadership Institute for their outstanding work as mentors or supervisors. Their dedication to assisting coworkers and postdocs is a great example for those considering the role of mentor. 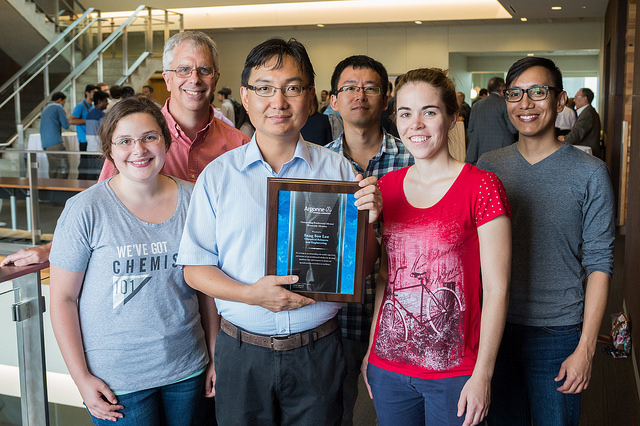 Sang Soo Lee received an honorable mention for the 2016 Outstanding Postdoctoral Mentor Award. 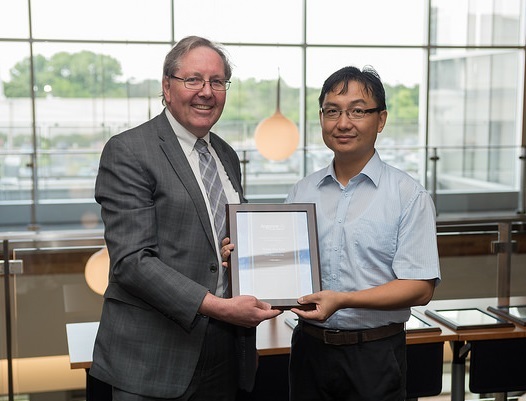 He is a geochemist in the Chemical Sciences and Engineering Division, where he works with the Interfacial Processes Group to explore in a cross-disciplinary manner the chemistry and structure of reactive solid interfaces in contact with fluids. Why is mentoring particularly important in the STEM fields? A main role of mentoring is to convey pieces of experience from a person who has gone through a similar situation to another person who hasn’t yet but will in the future, so that this person doesn’t have to spend time and effort to learn them. It is a very efficient way, so therefore very important in almost all fields. Many people, including my supervisors in college, colleagues, friends, and family members, have provided valuable information. All of them together are/have been my mentors. It is like reading a summary before reading a whole book. It makes things that will happen in the future easier to handle. Sang Soo Lee poses with his group and mentees at the 2016 Mentor Awards Reception. What is life at Argonne like for a junior-level career scientist? What is required to be seen as a successful scientist or how to conduct independent research? Or, what would be a good path after his/her career at a national lab? I think it makes junior-level scientists (mostly postdocs) more realistic and more prepared.